About: A full interior architectural refurbishment of the basement and ground floor of a Grade II Listed Building within the Conservation Area of the prestigious Covent Garden Market Square. The site is located between two parallel streets of New Row, a historically significant street since the reign of Henry VIII which today is a very unique fashionable street south of Covent Garden Square full of traditional quintessentially English shops such as “Hardy’s Sweets Shop”, “Drury Tea”, “Laird Hat Shop” and trendy little cafes such as “New Row Coffee”, “Spud” etc; and a small alleyway called Goodwin’s Court, famously known as the “Diagon Alley” in Harry Potter Movies. 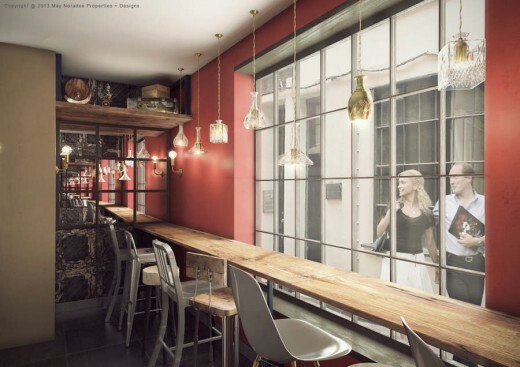 The final interior design proposal of Pacata is a result of an evolving design brief and collaborative effort between May Noradee Properties + Designs and Pacata’s brand designer based in Japan, to reflect the international heritage of “East meets West”, whilst taken into account the unique character of Covent Garden conservation area, its historical significance, cultural diversity and Old World Charms. 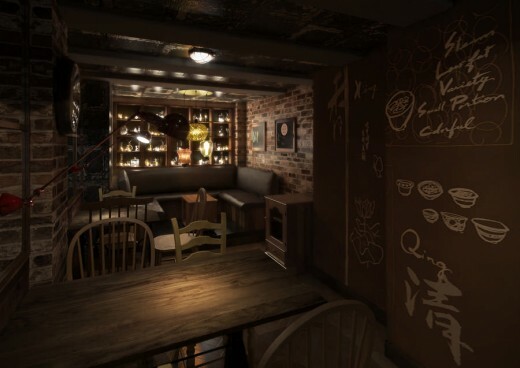 The multi-cultural coexistence concept of the brand is visible at every level of details from interior design, decorations, music, down to the uniqueness of food and drinks menu, for a simple, unpretentious gourmet dining experience in a relaxed and engaging environment, yet friendly atmosphere. 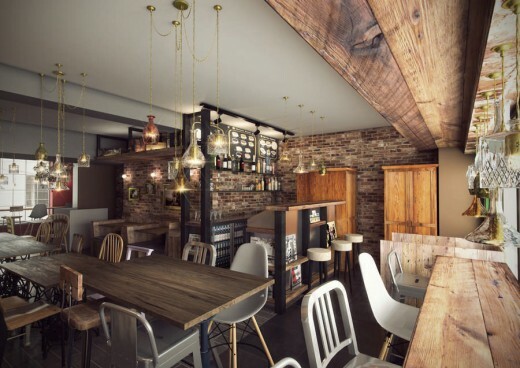 The material palette of the interior is earthy yet industrial, making full use of one-off vintage items found in antique markets, and recycled materials found locally, upcycling them to create unique architectural features and one-off furniture pieces. 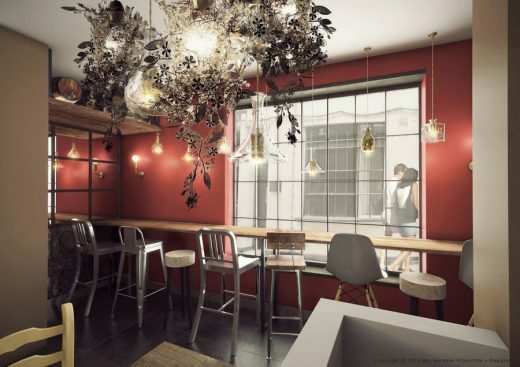 Initially, the Client appointed May Noradee Properties + Designs in late June 2013, to oversee the construction management of their first London restaurant. The concept design was to be done by their existing PACATA brand designer, Koinuma Nobuhide, based in Japan who had already conceived all their outlets in Asia; while the detail design of the interior and planning application were to be carried out by Singha Corporation’s in-house design team and their UK representative. However, by mid July 2013, it was clear to the Client that they underestimated the UK’s planning and building process, due to lack of understanding of design and construction restrictions imposed by the site being a Grade II Listed Building and within a Conservation Area, this being their first construction project in the UK; as well as cultural differences, expectations and going out habits of their potential clientele, which would be more international and diverse in London. From late July 2013 onwards, May Noradee Properties + Designs was appointed to redesign the interior of PACATA London, manage the planning application process with Westminster City Council, overall project and construction management of the restaurant, as well as contribute in restaurants & bars research to assist Fine Food Capital and Singha Corporation in redesigning the overall dining experience of their London restaurant because May grew up and worked as designer in the UK amongst international professionals for many years both in London and abroad. She was able to provide insights on both social level such as London’s nightlife, social scenes and habits of young, well-travelled international professionals; and architectural design level such as characteristics of architectural and interior design in London, historical and social significance of Covent Garden Square area, which in the end, resulted in the evolution of a more sophisticated PACATA for London, than its predecessors by offering the brand’s “fast gourmet dining experience” as well as Oriental-inspired cocktail lounge, which is unique to London location. 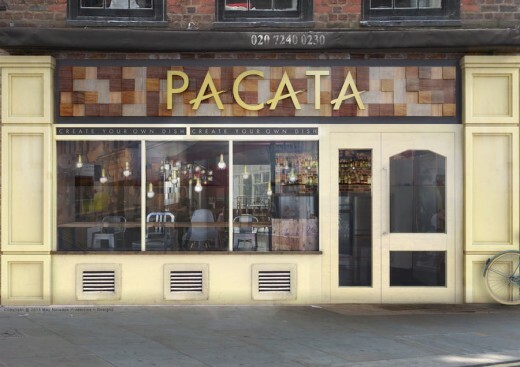 All other PACATA restaurants in Asia operate as fast gourmet “cafe style” restaurants. In terms of architectural design and construction, the site was very challenging and extremely restrictive due to pre-existing conditions especially in the basement, where it used to be meat storage room for the butcher’s. There were metal hooks protruding from the ceiling throughout the basement, which added unique character to the space, but at the same time posed severe ceiling height restriction, which would render the space inhabitable if the floor was not lowered or hooks were to be removed. The majority of the basement was also lined with Asbestos panels which had to be professionally removed and decontaminated. On top of this, the site was situated in a small one-way street with double yellow line throughout, in a highly congestive and pedestrian area, which posed rather challenging logistical problems for construction. 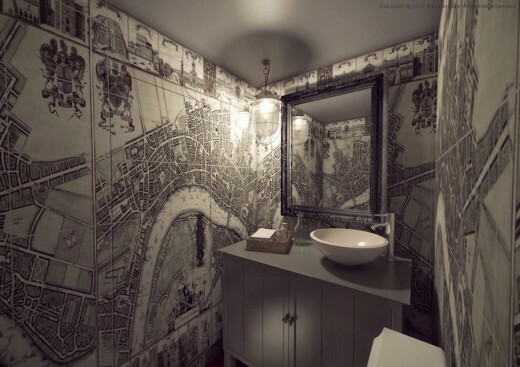 As the Client was initially unaware of these architectural and logistical restrictions, their allocated budget for the project was for a simple, straightforward interior fit-out work, not an architectural and interior refurbishment one. Having taken all the above factors into account for the redesign process, May respected the characteristics of both the site, budget and PACATA original brand concept, by preserving the brand elements in the interior design whilst revised the design to maximise space and suit available local reclaimed materials and resources, so that a full interior architectural refurbishment could be carried out to maximise the efficiency of available space for both ground floor and basement, while creating an engaging interior aesthetics within the allocated budget. The final design reorganises the existing space by moving the kitchen and female WC to the basement to open up the rear window on the ground floor to show off the double aspect feature of the space, while increases natural daylight entering the interior at the same time. The emphasis on the use of locally found reclaimed materials and vintage items for construction all the way to decoration was not only for economical reason, but also aesthetical one as May wanted to create an eclectic, mix & match atmosphere to reflect the uniqueness of PACATA’s “create your own dish” dining concept which allows the diners to pick and choose a range of ingredients and design their own meal. 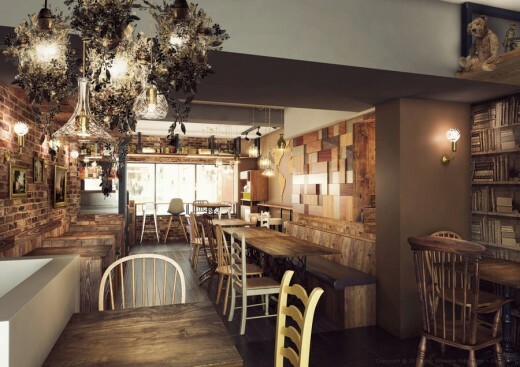 By sourcing vintage furniture pieces, it is a guarantee that everything that is seen in the restaurant will be unique. No more than 3 chairs are alike, for example, and a set of 9 stools are specially made from reclaimed oak floorboards and reclaimed steel sections found in architectural salvage yard, whilst others are found from various trips to antique markets all over the UK. Feature lightings are all made from antique glass vases, crystal decanters, crystal and glass tea cups, glass flasks which are all different depending on what can be found, modified into pendant lights, chandelier, wall lights etc. 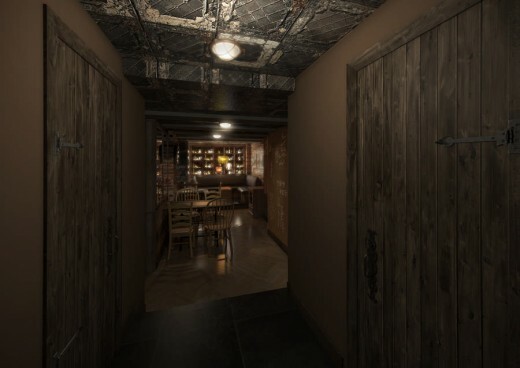 Because the restaurant also doubles up as cocktail lounge in the evening, May aims to create a softer, cosier ambience with old world charm atmosphere, which is very much the leading characteristic of New Row being full of traditional English shops and Goodwin’s Court, the only remaining gas-lit alley in central London.